How sensitive is your business to foreign exchange rates and raw material cost fluctuations? Are competitive pressures impacting your profitability? Let’s face it, profit management is not always smooth sailing. Market fluctuations are the new norm but business must remain profitable despite new obstacles every day. 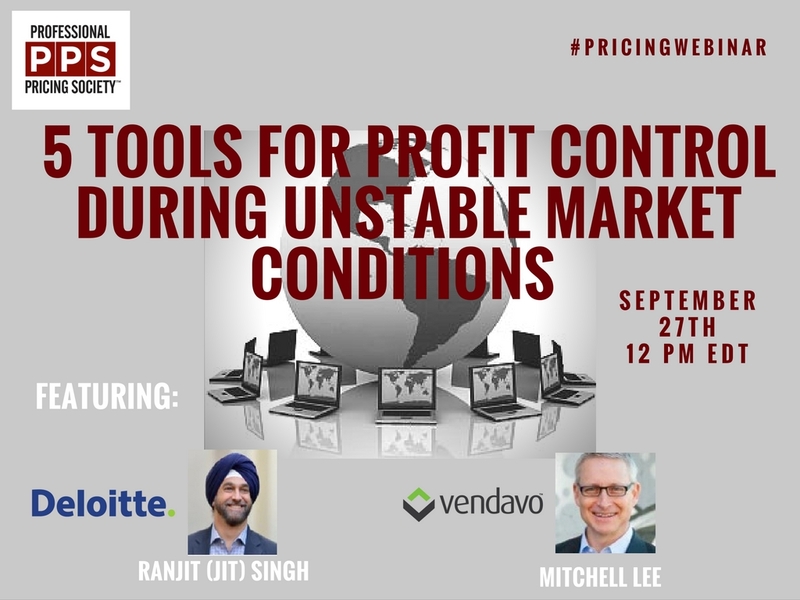 In this Pricing Webinar, pricing experts from Vendavo and Deloitte outline 5 essential tools companies need in order to sustain profitable growth amidst volatile market conditions.